If you’re interested in Android development, then chances are that you’re going to need to learn some programming. In most cases, that will mean learning Java or Kotlin, either of which is officially supported by Android Studio, the official “IDE” for Android Development from Google. But what no one ever talks about is the XML – and this can lead to confusion when you open up a new project for the first time and notice that there are actually two different main files and two different types of script. Hence this article, which will serve as your introduction to XML for Android development. Unless you’re making a game using Unity or Unreal, chances are that you’re also going to need to understand this “markup language” in order to define your layout. And if you try and skip it, then eventually you’re going to hit a road block. Read on then to discover what XML is, why you need it, and how to get started. XML stands for Extensible Markup Language, and that gives us our first clue as to what it is and what it does. A markup language is slightly different from a programming language. Whereas a programming language (C#, C++, Java, Kotlin, Python, BASIC) will allow you to define behaviors, interactions, and conditions; a markup language is used more to describe data, and in this case, layouts. Programming languages create dynamic interactions, whereas markup languages generally handle things like static UIs. That’s the first thing to take from this introduction to XML: despite appearances, this is not a programming language. In fact, XML was originally introduced by the World Wide Web Consortium (W3C) in order to deal with the inherent limitations of HTML. Specifically, HTML is not terribly readable for a computer, because it doesn’t explain what anything on the page actually is. Here, you and I know that the information is an address. But all the browser/computer knows is where to start new lines. That’s where something like XML comes in handy. Therefore, XML is used anywhere that can benefit from adding context to data. It is used across the web for instance to help make search smarter, and to simplify data exchange. XML is actually based on the Standard Generalized Markup Language (SGML) that has been used by the publishing industry for decades. XML performs the same function in Android app development: describing data and introducing elements. Specifically, XML sets the layout of things like buttons and images, and defines the font, color, and any text that shows by default. In order to make those buttons actually do anything though, you will need to use the programming language: either Java or Kotlin. When you create a new project in Android Studio, you will be greeted by a hierarchy of different files and folders which can be a little daunting for complete beginners. It’s a rather jarring introduction to XML no doubt! To make life just a little simpler, Android Studio will normally open both these files as soon as it boots up. You’ll also notice that both these files have a little bit of code already in them. This is called “boilerplate code,” which is code that almost every program needs, and so which Android Studio will populate for you in order to save time. This means that the activity that this Java code controls will display the activity_main.xml file, and that you may reference certain elements from that as you go. You can assign any XML file to any Java file in this way, and you can create as many of both as you like. Note however that by default, MainActivity.java will always be the class (java file) that Android loads first when running your programs. So now you know how XML and Java interact in your apps: XML describes the views in your activities, and Java tells them how to behave. In order to make changes to the layout of your app then, you have two main options. The first is to use the Design view. Open up the activity_main.xml file in Android Studio and get your first introduction to XML. You’ll notice there are two tabs at the bottom of that window: Design and Text. The Text view will show you the actual XML code, but the Design view will let you manually edit the layout by dragging and dropping elements into the render of your activity. XML files can also be used to store stringsUsing the Design view is an easier method for beginners, though it can lead to a couple of complications. For one, you will run into the limitations of XML early on when the designer refuses to let you drop items into specific places. Without the knowledge of why, this can make designing your app an exercise in frustration! At the same time, having a better understanding of XML will also help when it comes to handling the code. Otherwise you might find yourself stumped when it comes to things like finding the ID of the view, or remembering what type of view it is you’re working with. It is also possible to “instantiate” views at runtime from within your code, but this can be tricky to juggle if you’re creating a complex UX. Sometimes XML will be used to describe types of data other than views in your apps; acting as a kind of index that your code can refer to. This is how most apps will define their color palettes for instance, meaning that there’s just one file you need to edit if you want to change the look of your entire app. You can then refer to this tag subsequently in your Java code or your XML code, in order to refer to that particular hue. Another alternative use of XML is found in the Android Manifest (AndroidManifest.xml). This includes a lot of data describing your app, providing things like the label (the app’s name), the icon, and instructions about which activities to include/load first. This helps launchers display the app correctly on the homescreen, and is also used by app stores. The majority of your time using XML will be spent defining your layouts. While we’re not going to go too in depth in this introduction to XML for Android, we will go over some basics to help you get started. Apart from being another markup language, something else that XML has in common with HTML is its use of tags. These tags will predominantly be used to introduce elements into a layout, whether those be Views or ViewGroups. A view is basically any of the widgets that make up a typical utility app. Examples include images (ImageViews), text (TextView), editable text boxes (EditText), web pages (WebViews), and buttons (err, Button). You’ll start by using angle brackets to open the section, then you’ll introduce the view, and then you’ll set all the parameters. Some of these parameters will be compulsory, while others will be optional. As you may already have guessed, a ViewGroup is a group of these views. These are also referred to as layouts, and serve as hierarchical arrangements of views. A linear layout for example places all its children in a linear vertical or horizontal arrangement. Meanwhile, a ConstraintLayout will allow you to define the positions of views by their relationship with other views in the layout and the boundaries of the activity. This way, the views can maintain their relative positions, even as the dimensions of the device vary. Some Views can also be ViewGroups, such as the RecyclerView, which arranges other views in a scrolling list. So basically, it starts out by opening a constraint layout and telling it to “match_parent” meaning it will fill the exact same size as the parent layout. In this case, there is no parent and so the activity itself becomes the default. All parameters are set before the closing angle bracket. Next, it introduces the EditText and sets parameters such as the width, height, text to show, ID, and position. The ID is what we will use to refer to this EditText subsequently in our Java code, should we wish to change what it shows for instance. And because we are using a ConstraintLayout, we need to control the layout by anchoring it to something else. We are using the top, bottom, and sides of the “parent” which is the ConstraintLayout. The View is now being pulled between those four points and will therefore sit comfortably at the point in the middle. If you switch to the Design view, then you can see this in action, denoted by small white arrows. Notice that we end this section with an ending tag: a forward slash, followed by the name, and the closing angle bracket. That tells Android that we’ve finished talking about the EditText. After that though, we also need to create a closing tag to close off the ConstraintLayout ViewGroup. We could now introduce a new type of layout, or we could use nested layouts by adding a new ViewGroup tag inside the ConstraintLayout tags. In reality, XML is actually supremely simple and follows only a few set rules. The main complication then, is learning all of the different views, and all of the different properties that each of them need defined. Fortunately, you can find a lot of this information online, or simply use the design view to experiment and see how the code should look. You might be bashing your head against the wall right now thinking that there is “yet another thing to learn,” but once you get the hang of it, it will actually make your life much simpler. And while it might not “technically” be a programming language, many people will describe it as such anyway. So now you’ve read our introduction to XML, you can claim that you actually know two new languages! Get Certified in Android App Development! No Coding Experience Required. Android Authority is proud to present the DGiT Academy: the most detailed and comprehensive course covering every aspect of Android app development, run by our own Gary Sims. 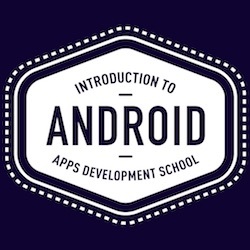 Whether you are an absolute beginner with zero coding knowledge or a veteran programmer, this course will guide you through the process of building beautiful, functional Android apps and bring you up to speed on the latest features of Android and Android Studio. The package includes over 6 hours of high quality videos and over 60 different lessons. Reams of in-depth glossaries and resources, highly detailed written tutorials and exclusive access to our private slack group where you can get help directly from Gary and our other elite developers. AA readers get an additional 60% off today. That’s a savings of over $150. Claim your discount now using exclusive promo code: SIXTYOFF. This is your ticket to a lucrative future in Android App Development. What are you wating for? What Are Native Mobile Apps and What Are Their Major Advantages?